1. Place construction paper on work surface in front of child. 2. 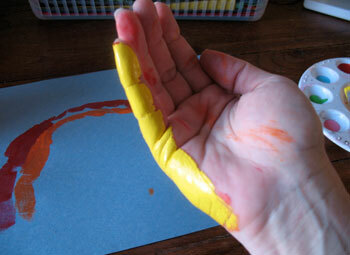 Have child curve their hand and paint (start with red) the side of the hand along the pinky and down to the heel. 3. 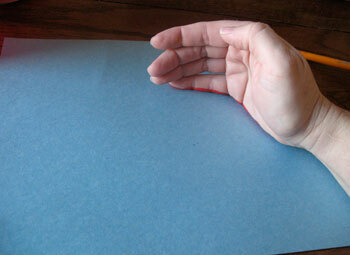 Gently press side of painted hand onto the construction paper to form half of the first rainbow ray. 4. Repeat step 2 and 3 with red paint on the other hand to form the other half of the rainbow ray. 6. 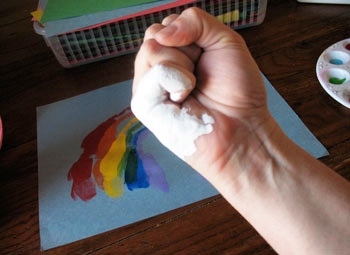 When rainbow is complete, have child make a fist, then paint the side of the fist generously with white paint. Press onto bottom of the rainbow to form the clouds. 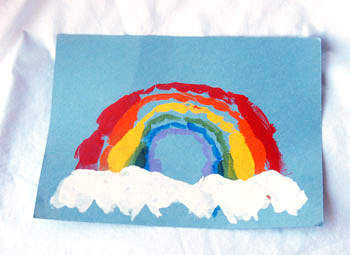 Repeat across paper under the rainbow until entire rainbow is lined with clouds. 8. This step is optional, but if you are sending this as a gift, use a marker to write a message across the top! i wanna be part of this event.. i haven't experience it yet..
Looks great!! I wanna try this later on…sure thing my kids are going to enjoy this.